Get connected in over 150 countries. 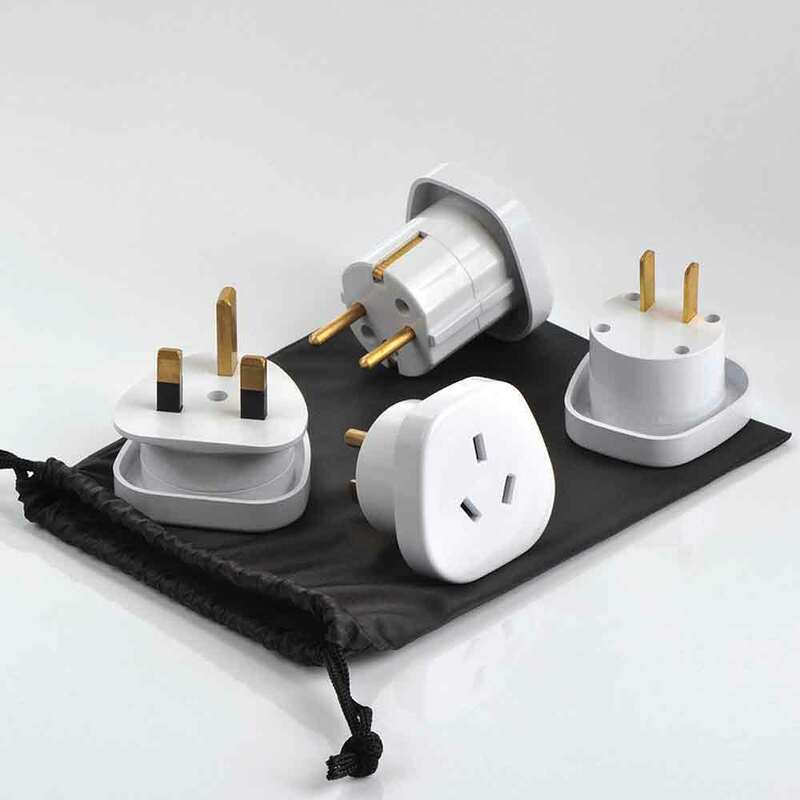 This non-earthed Worldwide Travel Adaptor set is designed for AUS/NZ-type plugs to be used safely throughout the world. Carried in a compact drawstring pouch, simple to use and easy to pack; this is the ideal solution for the international traveller. Please be aware that in some countries there is more than one type of socket in use.